Hello everyone! I just wanted to take some time out of our holiday weekend to show you what I picked up. We went to Canton in Texas and there is a huge flea market there. Well we went shopping to look around and there was a booth that sold ribbon. 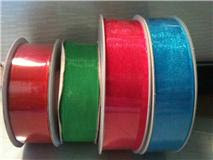 All kinds of ribbon. At a very good price. 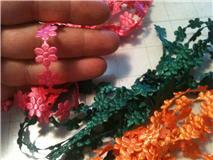 Like $1.25 for 2 yards. 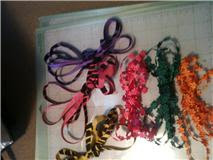 Or 3 yards for $1.00 on other ribbons. Also, while we were there, I decided to get me some custom-fit toe rings. To fun. Like the ribbon! I know you must have really had a lot of fun shopping. The other pink lady who did not get to go shopping!!!! I know. It was a surprise for me too. I had no idea we were going until that day. It was fun.